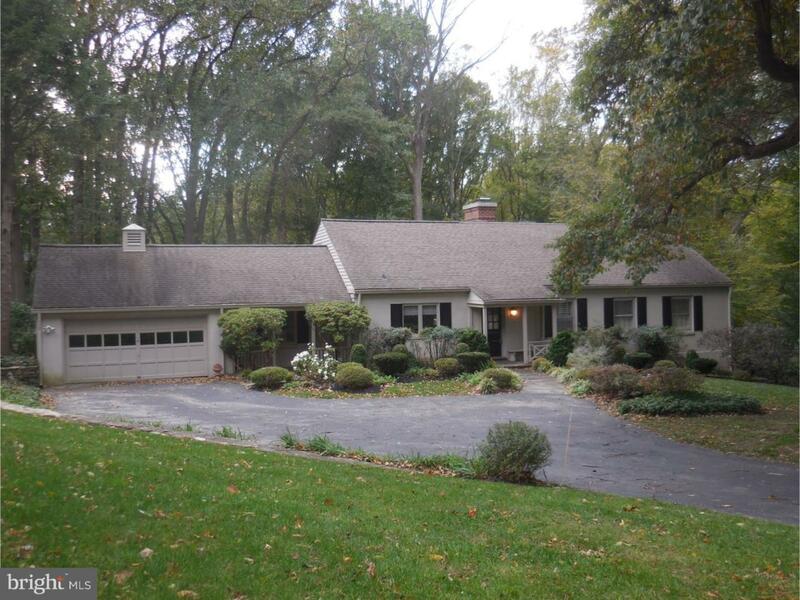 Lovely Gladwyne home located on quiet cul-de-sac. With over 4,000 sq/ft and situated on 3/4 of an acre, this 4 Bedroom/3.1 Bath home has much to offer!! From the Entrance Hall with closet, enter into the spacious Living Room with large picture window overlooking the grounds, wood burning Fireplace with slate and wood surround, hardwood flooring and recessed lighting. The Eat-in Kitchen offers a large peninsula with cabinets, Subzero refrigerator, double oven, separate cooktop, 2 pantries, hardwood flooring, tile backsplash, recessed lighting and entry door to breezeway which leads to two car Garage. The formal Dining Room with hardwood flooring and chair rail, features artistic stained glass window, recessed lighting and sliders to flagstone patio with awning. In a separate wing on the main level, the Master Bedroom Suite and 2nd Bedroom can be found. The Master Bedroom boasts a Sitting Room with a wall of closets, 2 additional closets, built-in shelving and tiled Master Bath with shower and vanity. The 2nd Bedroom and Hall Bathroom completes the main level. The Second floor has two full bedrooms and bath with a double vanity, tub and shower, and generous linen closet. Sunlight streams through skylights on entire floor. Generous storage under eaves and in bedroom closets. Versatile finished lower level for family room, playroom, and / or home office. Large sliding glass windows brings outside in and landscaping assures privacy. 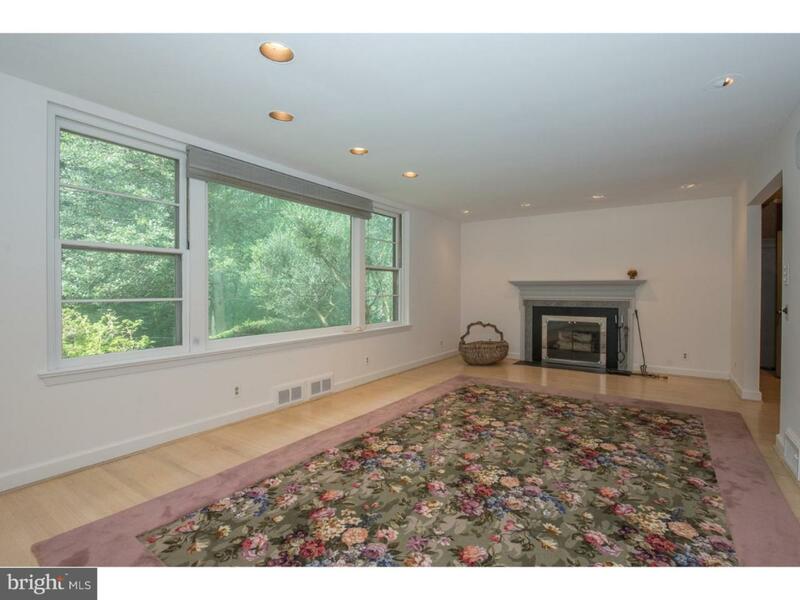 Sliding glass doors open to beautiful mature grounds. Powder room and laundry area with extra-large pantry storage. 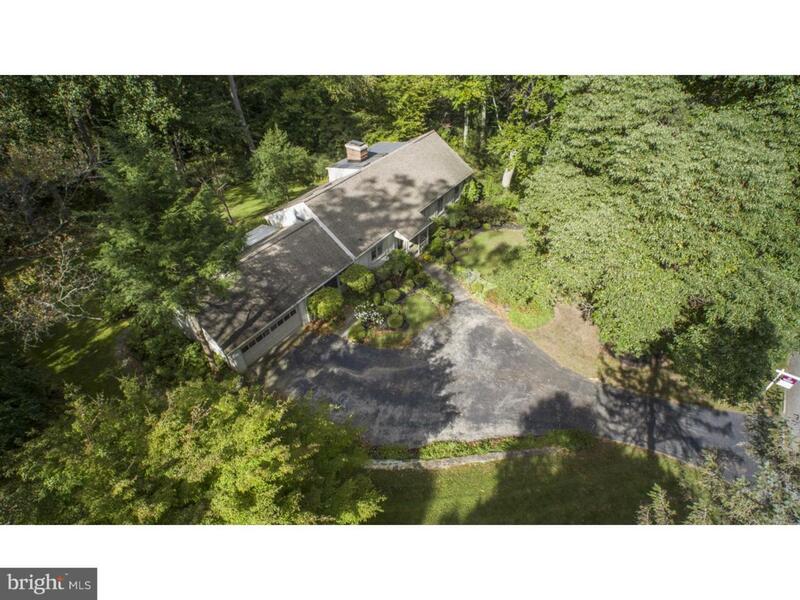 This beautifully expanded home surrounded by mature trees and gardens backs onto a 55 acre natural wildlife preserve. An outdoor terrace with entrance to the Dining Room is ideal for entertaining and relaxing in total privacy. 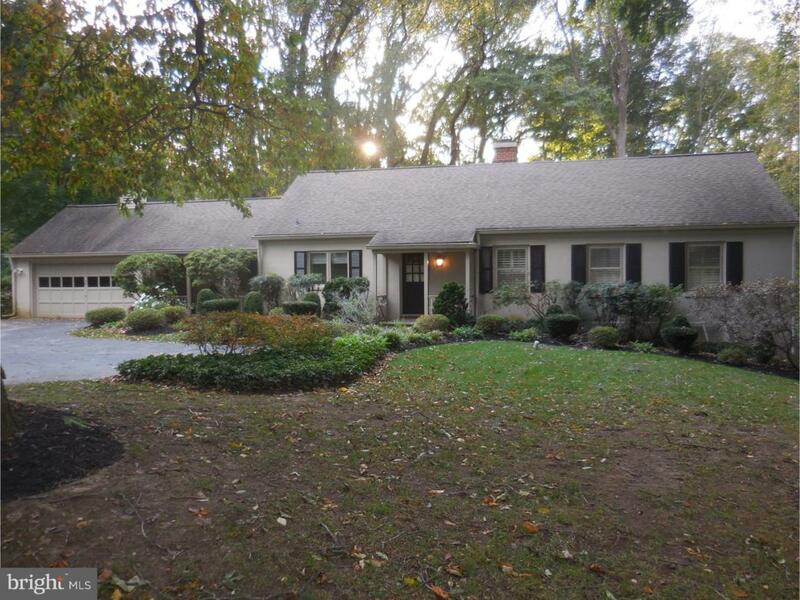 Ideally located in Gladwyne, minutes from Gladwyne Village, Stoney Lane Swim Club, Conshohocken, major highways and easy access to Center City and King of Prussia. Award Winning Lower Merion School District!